Trauma nurse Georgianna Rutherford deals with a steady stream of emergencies. She looks forward to visits to her male gynecologist who has an unorthodox method of helping her deal with…work stress. Her treatments always start with putting her feet up in the stirrups of the gyno table. But on this particular visit, her doctor is not alone in the private examination room…this time he’s brought along two of his doctor friends to help alleviate her…pressure. After Zoe Miller’s car breaks down on a desolate road late one very cold night, three dangerous looking bikers come to her rescue…in naughty ways she never expected! Sequel to Taken by Two Bikers (best read together but can stand alone). 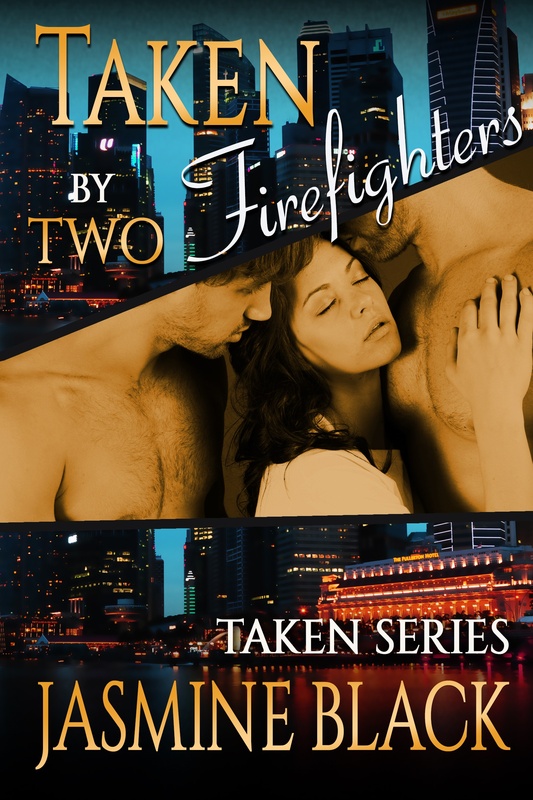 Taken Series ~ includes Taken by Two Bikers, Taken by Two Billionaires, Taken by Two Bosses, Taken by Two Cowboys, Taken by Two Firefighters, Taken by Two Professional Trainers, Taken by Two Carpenters. Seven erotica menages by Jasmine Black in one sizzling hot boxed set! Women taken by Bikers, Billionaires, Bosses, Cowboys, Firefighters, Personal Trainers and Carpenters! Jill has always been warned that her gambling lifestyle would get her into trouble. And now she’s in trouble. On her way to her new life in Italy, while in a white stretch limo, brothers Franco and Gianni Mennegetti will show Jill exactly what it means to be won by two billionaires.